This potent serum is lightweight and easily absorbed. It contains tea tree and lavender essential oils, which are anti-inflammatory and antiseptic ingredients, making it useful in alleviating eczema, psoriasis and breakouts. Tea tree contains properties that soothe inflammation and redness caused by breakouts. This product should only be used in small quantities at night and rinsed off in the morning. 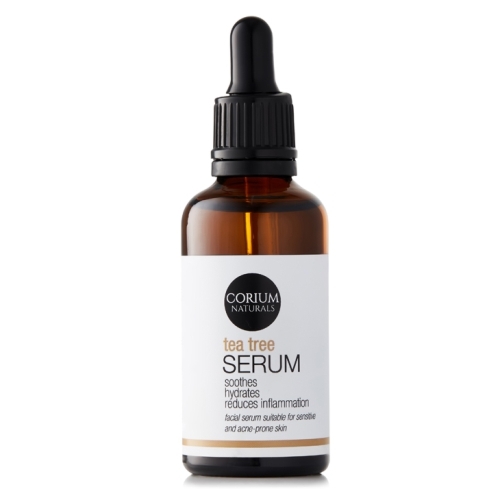 Tea Tree Serum is suitable for sensitive, breakout-prone skin. Caution: Due to the potency of tea tree essential oil, this serum must be used only when needed. Notify me when 50ml Soothing Tea Tree Overnight Serum 50ml Tea Tree Facial Serum is available.